The Bell Beaker Culture was a Bronze Age culture that existed in areas scattered across Central and Western Europe, including present-day Britain, France, Spain, Portugal and Germany. It was strongly associated with the Corded Ware Cultures that appeared around the same time and in the same regions . The Bell Beaker culture is typically identified by the presence of characteristic bell-shaped decorated pottery, but certain other materials are also often associated with people from this culture, including arrowheads, copper daggers, and v-perforated buttons . The appearance of the Bell Beaker and Corded Ware Cultures of Europe have proven to be enigmatic in the history of the continent. Both were remarkably uniform cultures that spread quickly across broad swathes of the continent, with evidence that the Corded Ware peoples migrated from the east. There has been much debate of where these cultures came from. Although they are now considered to have originated in the Pontic Steppe region of what is now Ukraine and Russia, between the Caspian and Black Seas [2-3], some authors argue that the Bell Beaker culture originated near an estuary of the river Tagus, of the Iberian Peninsula . The people that are believed to be source of the Corded Ware Culture were the Yamnaya, a named derived from the Russian for the pit burials that were found in present-day Ukraine and Russia . Bell beakers were probably primarily intended for rituals, perhaps in ceremonies involving a transformation . Archaeologists once proposed that they represented a male-drinking tradition , but current research suggests this may not be accurate. Whilst some beakers were used to hold beer and mead, others were used to smelt copper ores, and some used to store food . The beakers were made of local material, so their distribution could demonstrate small changes population changes, such as the movement of marriage partners . Whatever the use of these vessels, they were clearly significant to the culture and are often found at burial sites. The fourteen individuals in this sample were from three sites in present-day Spain. Three individuals came from the site of La Magdalena, which is thirty-five kilometers (twenty-two miles) northeast of Madrid. Ten individuals came from the site of Paris Street in the town Cerdanyola, fifteen kilometers (nine miles) north of Barcelona. One individual came from the site of El Virgazal, near the town Tablada de Rudrón, fifty-four kilometers (thirty-four miles) north of Burgos. All individuals were carbon dated to between 3,984 and 4,850 years old . The Magdalena site is roughly 5,000 years old. Alongside the individuals buried at the La Magdalena site, which included two young males and a woman aged sixteen to twenty, were four pots, a beaker, a flint knife, an ivory v-perforated button and a copper spike. The Paris Street burial site is 4,110 years old and was discovered when a large amount of skeletal material and associated pottery was unearthed during recent construction work. More than 9,000 remains were discovered, along with typical Bell Beaker ceramics. The El Virgazal site is a roughly 5,.000 years old burial mound. The individual in this sample found at this site is an adult male, aged 35-45 years. Bowls and Bell Beakers were found, as well as an ivory button and two gold rings . The male was buried in a stone slab structure, with his head facing north . 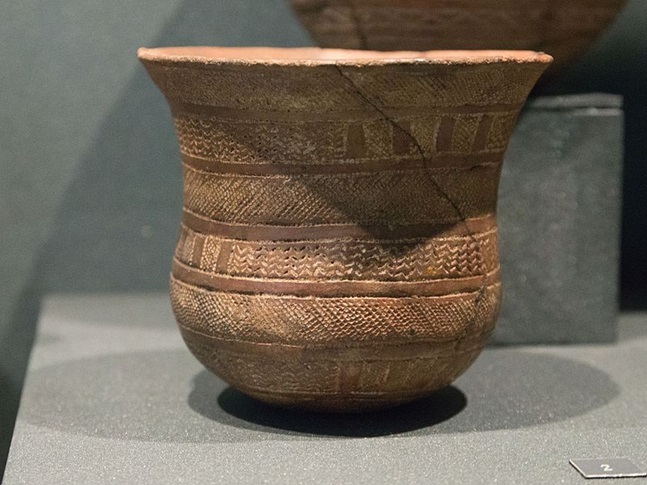 Bell Beaker pottery had spread across Europe by 4,750 years ago. Whether it spread by diffusion of technology or migration of people is debated. Genetic analysis of the individuals in this sample revealed that they are relatively unrelated to other Bell Beaker individuals found in central Europe. This suggests that the similar Bell Beaker culture in Iberia and central Europe spread by diffusion of technology, not through movement of people . Five individuals belonged to the mitochondrial haplogroup H, which is commonly found in Europe today and is known to have Middle Eastern origins. It has also been found in Mesolithic hunter-gatherers, and existed in Europe prior to the arrival of agriculture. It has a Middle Eastern Origin . 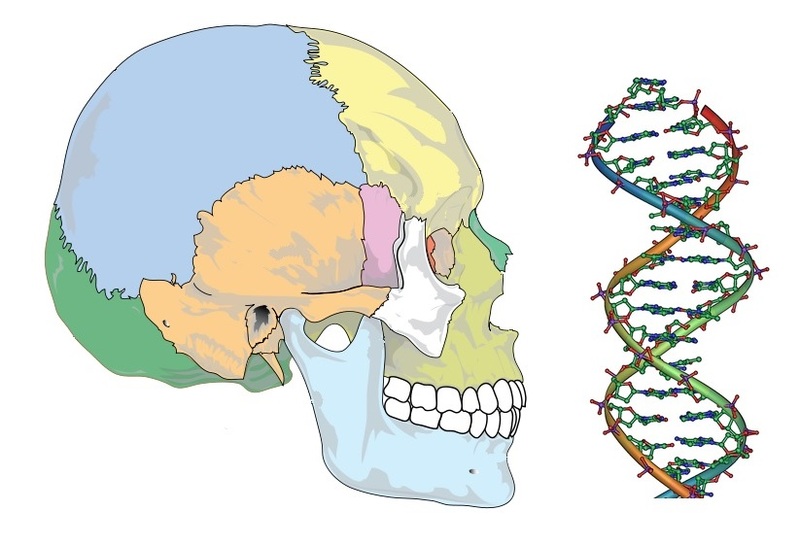 One individual may have belonged to the haplogroup which gave rise to the H lineage. Four individuals belonged to the mitochondrial U haplogroup, which was the most common haplogroup among European hunter-gatherers of the Paleolithic and still exists in Europe today although at lower frequencies due to the genetic contribution of incoming European farmers . Three individuals belonged to the mitochondrial haplogroup K, which is common in Europe today and was recently derived from U . The final individual belonged to the haplogroup X, which is likely a very ancient lineage, found today in lower proportions in Europe but higher in West Asia. It has also been found in Native Americans. This large geographic distribution suggests it appeared in the Paleolithic [21,22]. Four of the males in this sample belonged to the Y-chromosomal haplogroup R, which is a very ancient lineage thought to have arisen in Southeast Asia during the Paleolithic. Today it is widespread around the world . One male belonged to the CT haplogroup, which possibly dates to prior to the out of Africa event [24,25,26]. One individual belonged to the G haplogroup, which is common in Europe today but thought to be of Anatolian or Iranian origin . The final male belonged to haplogroup I, which has likely originated in European Paleolithic and can be found today in Europe and West Asia, particularly towards the Caucuses .